Everything you need to keep a log of all visitors to site and ensure their safety. 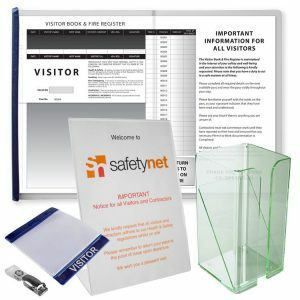 Choose from a full range of paper-based visitor management systems and kits, uniquely designed and manufactured in-house by our team of experts. 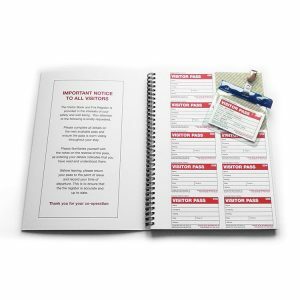 Our range of systems includes discreet visitor books and tear-off passes recommended for GDPR compliance – all of which are available to order as bespoke solutions. These are suitable for use in reception areas within corporate companies and schools.